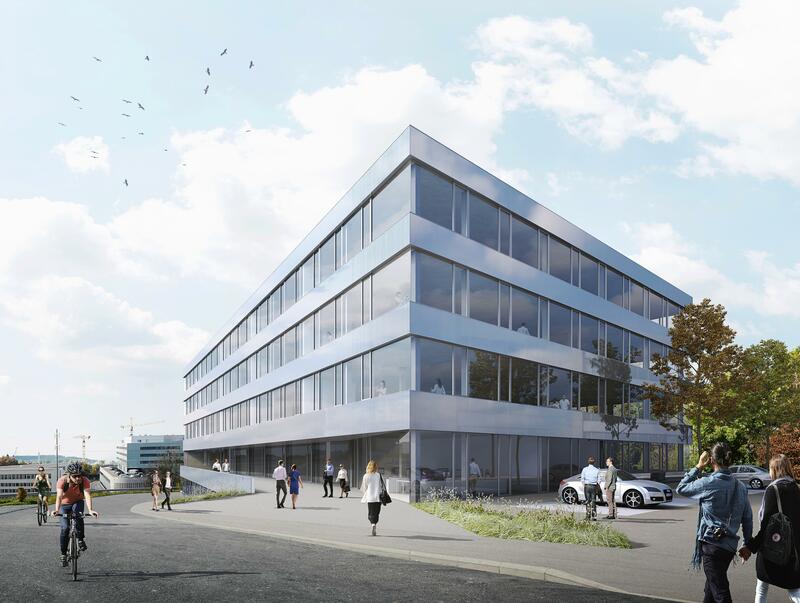 Lausanne, Switzerland, 5 November 2018 – Biopôle SA, a leading Swiss life sciences campus, today announced the signing of a partnership agreement with EPIC Suisse, a real estate investor, for the construction of a new building on its site in Epalinges, Lausanne. The SB-A building will be dedicated to office and laboratory spaces for companies active in the life sciences field, from young start-ups to sector-leading businesses. With a surface area of approximately 10,000 square metres, the new companies hosted in SB-A could generate up to 300 new jobs, adding to the existing 1,200 life sciences professionals on site. SB-A will be the product of the partnership between Biopôle SA and EPIC Suisse, as well as HRS Real Estate SA, the project developer and construction company, and the architect Bonnard Wœffray in Monthey. Construction of the new building is expected to start in February 2019 and is due to finish in Q2 2020. With the completion of SB-A, the Biopôle campus will total approximately 55,000 square metres of useable surface. There are plans for further expansion by 28,000 square metres by 2021, as a result of the collaboration between Biopôle SA, the Canton of Vaud University Hospital (CHUV) and the University of Lausanne. 2021: Expected delivery of SB-B (Biopôle SA) & SB-C (UNIL & CHUV) comprising 19,000 sqm of offices, laboratories & services (restaurant, gym, crèche, etc. Since entering the market in 2004, EPIC Suisse has established itself as one of the key real estate companies in Switzerland and today manages a substantial real estate portfolio. EPIC Suisse focuses on long-term, sustainable profitability. On the basis of the “buy, build and hold” strategy, EPIC Suisse purchases attractive real estate – primarily office buildings, logistic centres, and shopping centres – invests in their development and optimisation, and retains the properties in its portfolio over a long term. Long-term rental agreements as well as geographical and sector diversification enable EPIC Suisse to generate stable and long-term earnings. Biopôle SA is a life sciences campus based in Lausanne, Switzerland, bringing together a strong community of industry and academia. It offers a world-class combination of infrastructure, added value services, living space and community engagement where partners can thrive and bring science to life. The site houses more than 70 companies and institutions, including several head offices of multinational corporations, start-ups and clinical development teams, together with technology and service providers. It also hosts 25 world-famous research groups, in particular the Lausanne University Hospital (CHUV), the University of Lausanne (UNIL) and the Ludwig Institute for Cancer Research. Started in 2004 by the public authorities of the Canton of Vaud, Biopôle SA is a privately held not-for-profit company in charge of the management and promotion of the campus.